Wild Western–How was it done? Now find out “How the west was done,” at the Wild Western Festival in Phoenix Arizona. This wild mix of old western activities, western movie stunt demos, animals, food, celebrities, and even a couple of bolts of steampunk will be happening on the weekend of October 24-26, 2014. 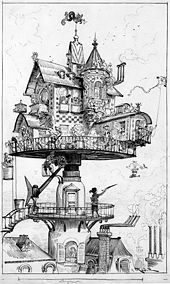 But of course, waaay after Shelley and Verne and Wells and Babbage, who started surprising sectors of the future we live in today. The great thing about science fiction is that even when you come to it late, or very late, there’s usually something to enjoy. 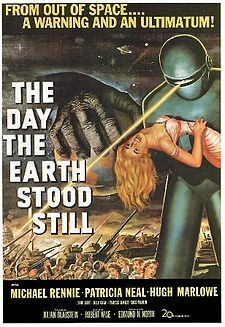 Whether it is “War of the Worlds” or “Klaatu barada nikto” (“The Day the Earth Stood Still”) or almost any SF book. Or, more recently, videos. The series “Firefly” and “Fringe” are two recent examples. Both are highly entertaining, quite different, and have huge followings, even some time after they were discontinued. More than a decade later, “Firefly” is being released as a video game. And there is a gem in Fringe–when you find out why, and thanks to whom, the lead scientist sometimes seems so foggy. The participation of a great number of people made the Kickstarter a huge success, and has propelled LiveCode into releasing its first generation of free and opensource software and rapidly adding updates. Create apps on your computer, publish to your own and even other platforms. In case you haven’t heard, there’s a Kickstarter to make a version of LiveCode software open-source—so it will be free for every school and home user on the planet—and only cost if you decide to sell apps made with it. How do you like them gears? About the gears at the top of the page. They turned interesting colors in the woods, as the sun was heading into late afternoon. Posted in Art and Design, Classic Tech, Hardware, Iron, Technology | Comments Off on How do you like them gears? Write out your blog in a text file before you sign in to WordPress, then just copy and paste it into the right area. This way you will have a backup copy of your blog entry, and can easily use it in other projects. Posted in Blog, Tip | Comments Off on Tips for WordPress- 1.